Interesting Facts in Dhirubhai Ambani, Unknown facts about Dhirubhai Ambani. The India’s Great Business magnate Dhirajlal Hirachand Ambani was born in 28 December 1932. He is the founder of Reliance Group of Industries. Now, the Reliance group is providing the 5% of the tax to the Indian Government. He started the Business with his cousin later they split and Dhirubhai Ambani started his new and own business. He started the Business in India and achieved many goals in his life as a business person. Dhirubhai Ambani is belongs to Gujarati and he was married to Kokilaben and they had 4 children’s named as, Anil Ambani, Mukesh Ambani, Deepti Salgaonkar and Neena Kothari. In 2016 year, Dhirubhai was given a Padma Bhashan award for his extra ordinary contributions and work. He also listed his name in the Richest person’s in the Asia. Reliance was started in 1962 and now, the comapny giving 90000+ employability for people. Dhirubhai Ambani was death on 6 July 2002 and later his sons took the company responsibilities. After Few years they separated and doing their own businesses. 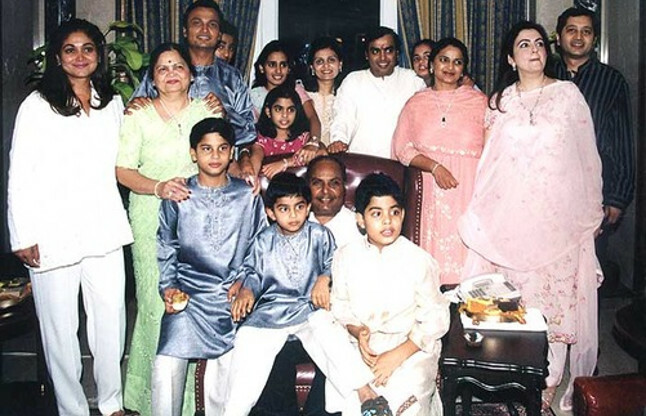 Dhirubhai Ambani was born in a Gujarat’s Modh Family. He was born in an upper middle class family and his father was a teacher in a Gujarat School. In Gujarat state Mount Grinar place, Dhirubhai began his business as an entrepreneur by selling the eating Bhajis to Pilgrims. 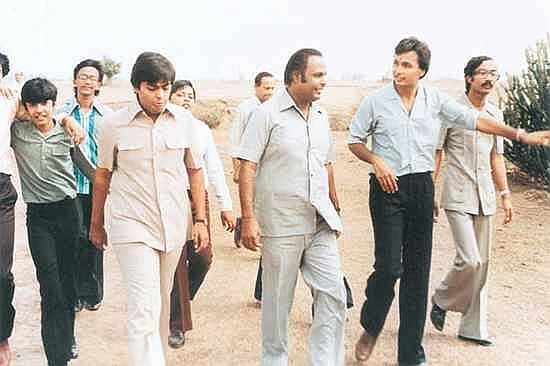 At the age of 16 years, Dhirubhai Ambani completed his matriculation and shifted to Yemen country. He joined in a gas station and working as a attendant and getting a salary of 300/- rupees for every month. Dhirubhai ambani came back to India on 1958 and having the amount of 50,000 rupees. With that amount he began a textile company with his cousin. After both are split and started there won business. In 1966 year Dhirubhai started his own business and set up the commercial office in Narsinatha street located in Masjid Bunder. It is a 33 square metre room which having 3 chairs, phone line and a table. In 1970’s the ambani’s net worth is almost 10 lakhs. In the south bombay he bought an apartment and started his business. Dhirubhai got the business tricks and exported his goods like rayons and spices at a loss time and with high margin he imported many products such as nylon and more. Dhirubhai began his first textile mill in the 1977 year and he kept the mill name as his brother name Vimal. Dhirubhai Ambani represented a general meeting in the year of 1986. For that 3, 50, 000 shareholders are attended for that meeting and it was held in Cross maidan – Mumbai. In India, Reliance Industries are become a first pvt sector business under Dhirubhai Ambani. He convinced many Gujarati’s to buy the Shares of the company. The company holds the annual meetings in Inside the Stadium.